"The Smile of the Child" was created in 1995 by 10-year-old Andreas Yannopoulos, who, shortly before leaving from life, expressed in his diary his wish to found an organization that will ensure for all children what he had so generously enjoyed: love, affection, care and respect. 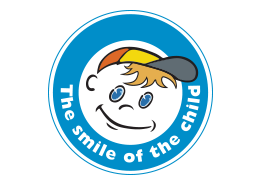 In the course of 22 years of action "The Smile of the Child" has supported more than 1.300.000 children and their families. Children victims of any form of violence, missing children, children with health problems, children living in poverty or threatened by poverty, have found a solution. 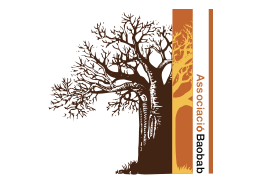 Baobab Association is a private non-profit association working in educational projects focused on people in situation or risk of social and/or labor exclusion. The direct and/or indirect users of our activities are children and young people, women in risk, migrants and refugees, unemployed people and senior citizens. Our main activities are the design and implementation of training courses for users and professionals, the creation of learning solutions for the implementation in their training courses and the collaboration with other organizations with the same purposes. 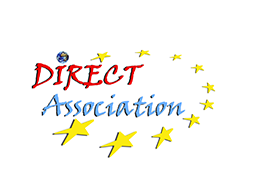 DIRECT Association was created in 2009 in Bucharest, Romania, to support social, educational and cultural activities, encouraging the transnational circulation of artistic and cultural works, and enhance the intercultural dialogue. DIRECT Association is a non-governmental organization formed as a response to the high incidence of violence, alcoholism and poverty in Romania, the increase in family instability and the lack of support for victims wishing to leave abusive situations and/or in need of counselling and crisis services. 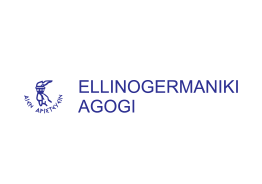 Ellinogermaniki Agogi (EA) is an educational organization of private law, officially recognized by the state. Established in 1995, the Research and Development Department of EA provides the test bed for research applications for the design, development and implementation of the research activities in education. The R&D Department acts therefore as an interface between the pedagogical research, the technological innovation and the school community. It focuses on the design, implementation and support of pedagogical and technological innovations in educational practice, both through internal research as well as through collaborations with numerous educational, research and commercial institutions in Europe and the world. The work of the R&D Department focuses on the following areas: a) Development of methodologies and empirical classroom-based research;) b) Comparative research on educational policy at national and European level; c) Development of a model of and support for School innovation d) Design and implementation of short- and long-term professional development of teachers e) Cooperation and collaboration with Universities, research centers, museums and private companies for the development and testing of educational material , outreach exhibitions and workshops f) Design of technology-supported learning environments. 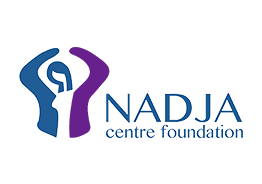 Nadja Centre was established in 1995 in order to respond to the increasing violence against women and children as a psycho-social centre, and it was founded as a NGO in 1998 with the main goal to protect and prevent victims from violence (domestic violence, trafficking in persons, victims of crime, etc.) providing them professional help and support. Special programmes are dedicated to children at risk (child sexual abuse and neglect, bullying at school, children-refugees, missing children). The organisation realise its projects in partnership with institutions, local authorities and other organisations. The association for equal opportunities "SEMPER" – Bitola is non government, non party and non profitable organization founded on June 21, 2002. By the decision of the Ministry of labor and social politics, since 2005 it has been registered in the Register of civil communities in the field of social protection. 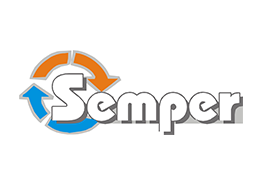 SEMPER initiates activities for participation of all citizens in all spheres of the social life, promoting the concept of live without violence and raising public awareness on human rights, gender equality and diminishing all kind of discrimination.